Palazzo Roncale closes the northern side of Piazza Vittorio Emanuele II. Unanimously attributed by critics to Michele Sanmicheli, the building was built between 1550 and 1555, dates that, with difficulty, can be read on the sides of building in the coat of arms, under the cornice. 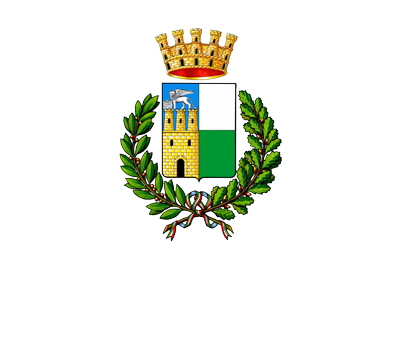 The work was commissioned to the famous architect Giovanni Roncale, a member of the merchant family of Bergamo, that, over a period of a few decades, became part of the nobility of Rovigo. Having to counteract the magnificence of Palazzo Roverella, the structure is striking for the massive and airy arcades in ashlar overlooking a vast interior hall with a vaulted ceiling. The palazzo was built at the intersection of the two main roads leading into the square, a long driveway and a large entrance hall permitted the entry by carriage. The rooms on the ground floor, on either side of the entrance hall, were destined to host workshops, while the first floor simpler and brighter, was intended as the residence of the owners. 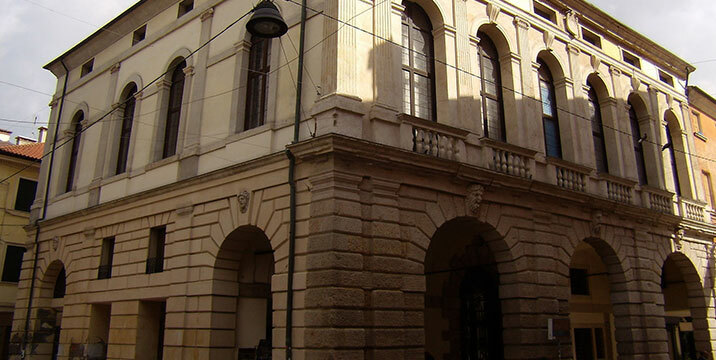 The palazzo was inhabited by the Roncale family until the XIX century, the building went through several vicissitudes, becoming a school, a warehouse, home to a bank and then to the municipal offices. Since the eighties, the building has been owned by the Foundation of the bank Cassa di Risparmio di Padova e Rovigo and used for cultural events. In 1474 the building of Palazzo Roverella was begun. 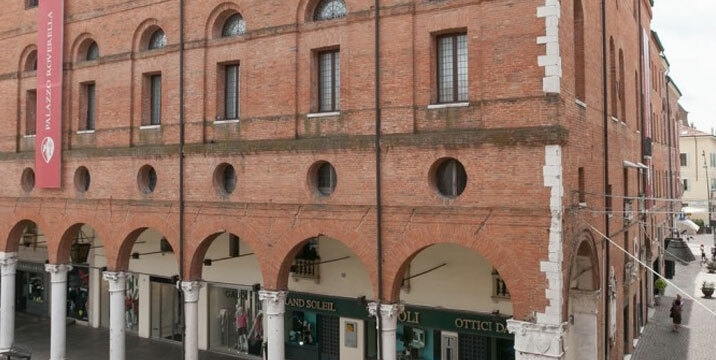 It is an imposing structure wanted by Cardinal Bartolomeo Roverella in the main square of the city. The imposing size of the building was to show the importance and influence of the family, which for this purpose, bought the adjacent dwellings. In 1477, after the death of Bartolomeo Roverella, work was interrupted and then resumed, resulting in numerous interventions and modifications. After the Second World War the restoration of the harmonious brick façade with three rows of openings took place, but the building was not the object of particular interest. Subsequent interventions have transformed it into the new home of the Art Gallery of the Accademia dei Concordi and the Episcopal Seminary, it also hosts major exhibitions of international importance. 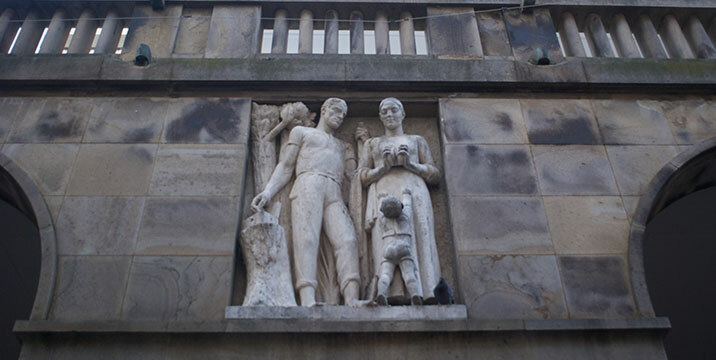 Above the portico of Palazzo INA which opens onto Via Angeli, not far from Palazzo Roverella, an imposing bas-relief celebrating the family dating back to 1941 is clearly visible. It is one of many works, in the city, and in various places in Polesine, by the sculptor from Rovigo Virgilio Milani, one of the greatest exponents of twentieth century Italian art. Recently restored by the Foundation Banca del Monte, it is one of many examples of the strong ties that the artist maintained with his land in his life and never left throughout his long career.